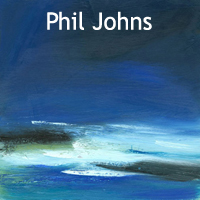 After the press reports in Woolwich this month, I started to wonder if sending an email out about my quiet life in a idyllic Cornish village, so far removed from that world, wasn’t just being glib; making small of some horrendous act from a fool on an misguided religious fervour. Surely there was something I could comment on that would put the world to rights? Then it occurred to me that living where I do and surrounding myself with (in my mind, at least) artistic genius was exactly what I should be talking about in these troubled times. As most of you will know, I’m founder editor of Roseland Online and, as such, can’t help notice how our website stats go through the roof every time we post ‘controversial’ or ‘scandalous’ news of a local theft or misdemeanour. But is that a reason to do it? No! That’s exactly why I don’t do it, unless it’s absolutely necessary for the community to know about. It is my belief that focussing on the negative only creates more of the same. It’s a reason why I try not to watch too much TV news or read newspapers. It’s so easy to absorb oneself with the negative, that we forget all the wonderful, positive things that abound in our society. It is these that bring us hope and belief in our own human race. I think we need to remember that for each Woolwich there is an angelic tale to be told. So, it is without apology that I shall try to lift everyone’s day with the magnificent offerings our fabulously talented artists have to share: the people who choose to bring beauty into this world and share it with everyone, they are the light in my day, so thank you! And it’s my pleasure to share your that with everyone else. So what’s new this month. Well it would be easier to say what isn’t! 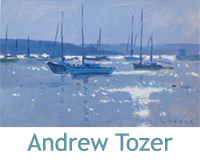 We’ve had Andrew Tozer’s exhibition as part of his year in residency at The Old Paraffin Store, St Anthony. It was a lovely opening evening and the collection is just stunning. 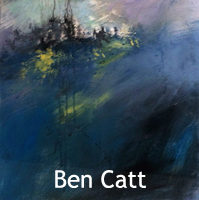 What’s left of them (with some newly painted additions) are now live on the site; click here to view. 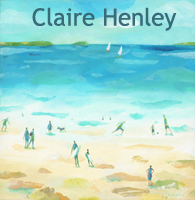 Claire Henley’s in-house works have sold out, but I’ll be picking some more up mid-month. For now here are two lovely Online-Only exclusives for you. 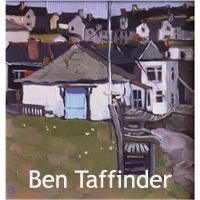 And Ben Taffiner’s been in with some stunning new pieces, too (to replace the ones that sold so quickly!). That boy just gets better and better! 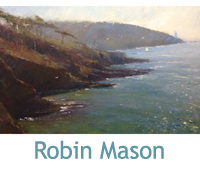 Robin Mason’s kept us supplied with his magnificent artwork as they’re flying out the door. I just can’t seem to keep up with his popularity, so if you see something you love, I recommend moving on it sharpish! You can see the current stock here. 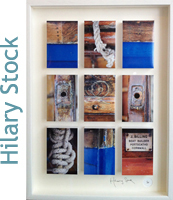 And the lovely Hilary Stock’s been doing well; especially with her new Portscatho work. What’s great about this is she had no idea what an iconic image she was creating with this lovely John Billing – Portscatho boat builder – boat she photographed! So there it is! Another cracking month of change and we hope to bring news of some very exciting partnerships which are in the offing for later in the season, so mum’s the word till then!!! For now though, if you’re a painter (amateur or professional) and would like to spend the day with around 30 fellow artists either painting and getting helpful advice, or if you’d just like to meet some of our artists, how about jointing us on 9th June for our Plein Air painting day? You can get all the info here: www.artscatho.co.uk. Look forward to seeing you there! 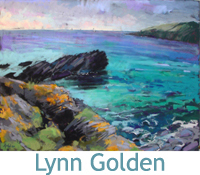 Have a great month and I hope our artist’s works continue to add as much light to your day as they do my own! After sending out last month’s newsletter 24 hours early – under the misapprehension there was only 30 days in March! – I got to thinking why I scold myself so much for not getting stuff like this exactly right. I tend to be a stickler for keeping my promises to myself and so chastise myself more for it than I would others if I break that promise… read more.